Full Colour front, back black and white only. 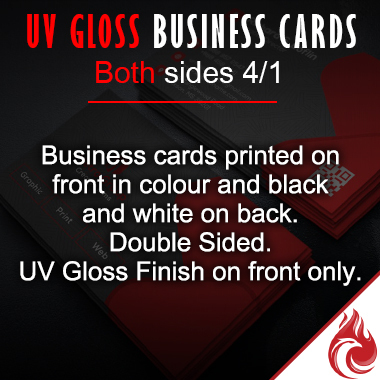 Business cards printed on front in colour and black and white on back. UV Gloss Finish on front only.